The race proved a strong testing environment for the team with significant balancing of the field being seen against most of the GT Le Mans (GTLM) class competition. All three Porsche 911 RSR entered at Elkhart Lake, Wisconsin raced in the top five during the two-hour, 45-minute event. Ultimately, the best finishing position was the No. 912 Porsche North America factory entry in fifth. Its No. 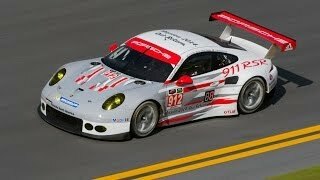 911 sister car finished tenth. 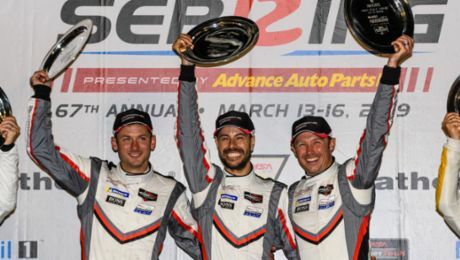 Porsche Motorsports entered the weekend with a steep learning curve. After winning the first two races of the season on high-speed, low-downforce tracks, the classic rear-engine Porsche struggled against its competition on tracks which demand high-downforce configurations. 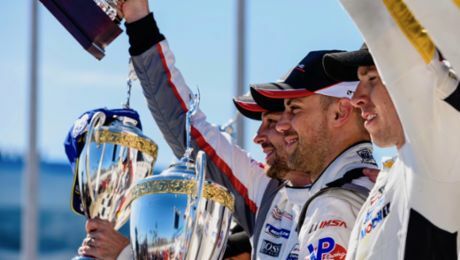 IMSA, the rules-maker for the Tudor United SportsCar Championship, sought to level the playing field against other cars in the production car-derived series which gains its core rules from the 24 Hours of Le Mans. The current Adjustment of Performance allows the seventh-generation Porsche 911 a bigger front splitter, revised rear wing and larger air restrictor. Today’s eighth round of the championship was the first opportunity Porsche had to test the combination on-track. As a result, the weekend’s practice sessions, and even today’s race, was focused on learning the new performance characteristics of the car. The No. 912 Porsche North America Porsche 911 RSR, driven by Patrick Long (USA) and Michael Christensen (Denmark), challenged late for a podium position but would eventually finish fifth. The team’s attempt at returning to victory lane was made all the more impressive after the car spun on the second lap of the race. Long and Christensen fought back to run as high as third with 20-minutes remaining. Despite a valiant effort, they were passed twice in the closing stages but held on for the top-five result. Just ahead of the No. 911 in ninth-place was the sole customer-prepared Porsche 911 RSR in the class. The No. 17 Team Falken Tire Porsche 911 RSR jumped four spots on the car’s first pit stop to run second. However, after the impressive pit work and strong drives by both Porsche factory driver Wolf Henzler (Germany) and Bryan Sellers (USA), the privateer entrant fell to ninth in the factory program-heavy class at the finish. The Alex Job Racing Porsche 911 GT America, with Cooper MacNeil (USA) and Leh Keen (USA) at the wheel, used the five yellow flags of the race to their advantage. The combination finished second in the GT Daytona (GTD) class, and move into first place in the points standings with only three events remaining. It was the pair’s first podium of 2014. Madison Snow (USA) and Jan Heylen (USA) matched their best finish of the season also by piloting the Snow Racing Porsche 911 GT America to a third-place finish.